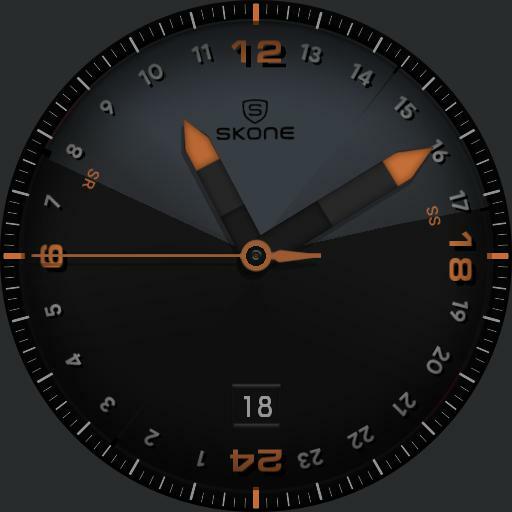 Skone SW 24hr slow watch with added sunrise/sunset background emphasizing daylight/nighttime hours. Also features date window, and a lower battery drain. AOD available. Original Skone Slow Watch adaptation by Kris Upfold.